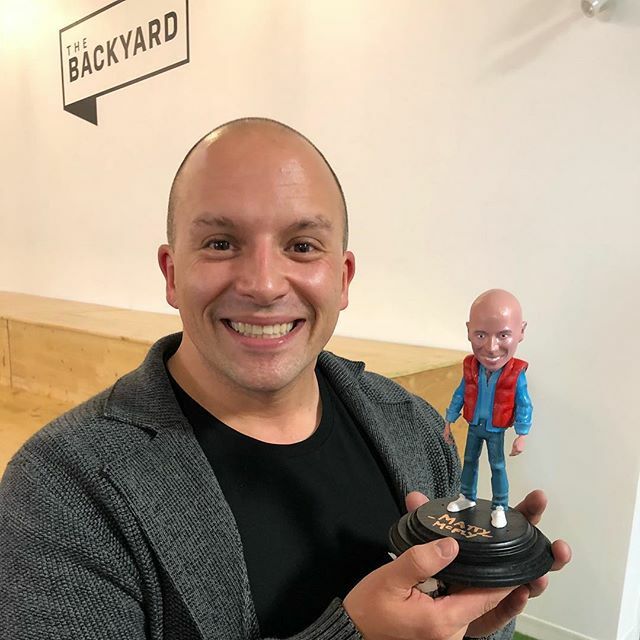 Our videographer, @dannyvalimaki, designed and 3D printed a bobble head of @matt.aubin as Marty McFly and we are all dying over it. Best. Gift. Ever.